There is something inspiring about people who have the drive and determination to climb all the way to the top of the mountain… Or to relocate a mountain. Or to build a mountain out of nothing but the force of their will, and hard work. Entrepreneurs, executives, leaders and visionaries are “modern magicians” who craft an invisible staircase out of thin air, and then amaze everyone as they walk up it. Their success, their risks, and their rewards are often unimaginable to others, who may value certainty over glory. They are operating at a different level. They are on a “hero’s journey” to affect change in the world through their work, and to make their dreams a reality. Natural achievers may dazzle, impress, and inspire others, but they need support and guidance too. The pressure, demands, and the responsibilities of leadership can feel like a heavy weight. As you move forward, you might come to the limits of your existing skill set, or current emotional capacity. But when you’re in a leadership role and others are looking to YOU for direction, you don’t have the luxury of faltering. It can feel like you need to figure everything out on your own. Just like every Olympic athlete has a powerful coach helping them hone their physical talent, the “Stars” of every industry rely on Executive Coaches to help them achieve at their highest level. Executive Coaching offers you a private, non-judgmental sounding board to talk through the things you usually keep to yourself. It’s a safe place for you to be human, share your challenges and victories, and think through your next steps. Great Executive Coaches help you connect with your inner wisdom, think about things in a new way, and shine a light on your blind-spots. Powerful Executive Coaching helps you identify your self-limiting patterns, and your “growth opportunities.” We help you develop yourself so that you can break through old obstacles, and become an unstoppable force. Dr. Kristi Helvig is both a Clinical Psychologist and Certified Life Coach with over fifteen years of experience in helping her clients get real results and lasting change through strategic Love, Life and Career Coaching. Dr. Helvig's passion is Career Coaching, and Executive Coaching. She loves helping her clients discover their professional passion, and can help you live your dream too. 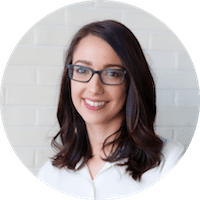 Whether you're starting your own business, changing careers, or looking to achieve at a higher level she can help you move forward with confidence. In addition to career and executive coaching she is a personal productivity coach who can help you achieve at your highest potential. Whether your working on your resume, interview skills, or just figuring out what you want to be when you grow up, she can help you "climb your mountain" by breaking your goals down into small, attainable steps. She will be your cheerleader, accountability partner and coach -- motivating you to take life-changing action. Learn more about Dr. Helvig. Markie Keelan is a dynamic Therapist, Life Coach and Career Coach with years of experience in helping people all over the world achieve at their highest potential. She is an accomplished Career Coach who has helped many people identify their strengths, their talents, their passions, and their opportunities. Markie especially enjoys working with millennials, and early-career professionals looking to make their mark in the world. In addition to her strong background in Career Coaching, Markie is a Therapist and Life Coach who can help you perform at the top of your game - even under stressful, high stakes circumstances - in order to attain your personal and professional goals. If you're looking for increased life satisfaction or would like to advance professionally, she's ready to help you find you passion and start living your dream. 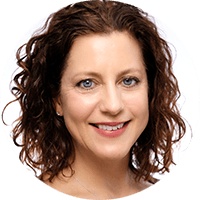 Teena is an intuitive therapist and coach who specializes in helping her clients achieve transformation in their lives both personally and professionally. She is of great help to busy professionals on a quest to have it all: life satisfaction, a meaningful career, sane work / life balance, and healthy relationships. Teena can help you get clarity about who you are and what you need to achieve your fullest potential as a leader, a professional, and as a person. She'll arm you with skills and strategies to manage your time and energy, uncover your talents and resources, change your attitude and behaviors, and create a life and career that energizes and excites you. 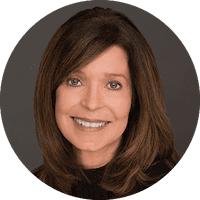 Linda Pounds is an executive coach and leadership coach who has coached across all levels of management in organizations for the past 15 years. She particularly enjoys coaching with individual leaders and leadership teams, helping them to close the gap between where they are now and where they would like to be. Her specific interest, experience and certification in coaching is emotional intelligence — a key driver of success in the workplace. She helps her executive coaching clients to find a better understanding of themselves and improved ways to manage themselves during challenging times in their careers. If she's assisting you as an executive coach, you can work together toward your goals in respectful, encouraging coaching sessions that will improve your relationships at work, help you to better manage conflict at work and have greater life satisfaction. In addition to her specialty in leadership coaching and executive coaching, Linda is a highly experienced therapist and marriage and family therapist. She can help you create meaning and balance in all domains of your life, and improve your relationships both personally as well as professionally. 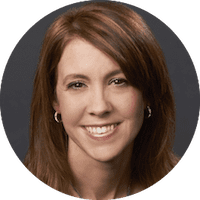 Linda is available to meet with you on at our Denver / Cherry Creek and Broomfield, CO office locations as well as across the US and Internationally through online video.